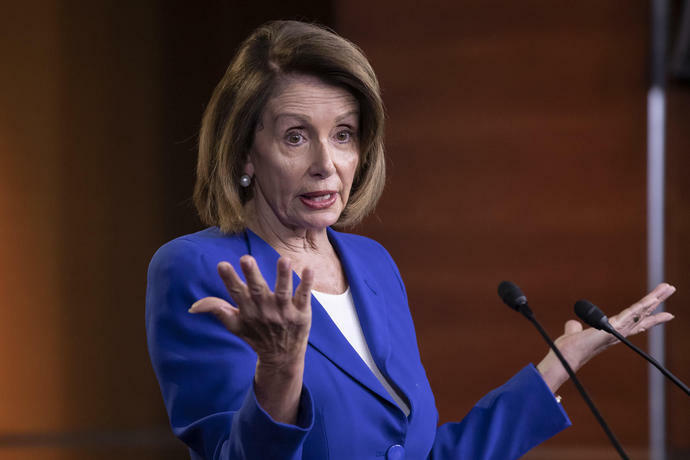 WASHINGTON (AP) - President Donald Trump and House Speaker Nancy Pelosi on Thursday hardened their positions about a border wall, casting doubt on the prospects of Capitol Hill negotiations intended to reach a compromise and avoid a second government shutdown. The high-stakes talks are taking place against the backdrop of another possible shutdown in mid-February - an outcome Trump's GOP allies in the Senate are especially eager to avoid. It increases the chances that the only way to avert another shutdown would be to put a host of federal agencies on autopilot for weeks or months. Republican allies of the president said there will have to be some money to meet Trump's demands. But they also predict privately that the White House is eager to grab an agreement and declare victory - even if winning only a fraction of Trump's request.